Hooked on a feeling…again? Grab these Guardians of the Galaxy Vol. 2 Gift Ideas for the Whole Family, just in time for the release now in theaters! This post is sponsored by Disney. All galactic opinions are my own. May contain affiliate links. Have you heard? Guardians of the Galaxy Vol. 2 movie has blasted into theaters, starting today! (Is Guardians of the Galaxy Vol. 2 Safe for Kids? Find out in my full non-spoiler review.) If you’re looking for Guardians of the Galaxy Vol. 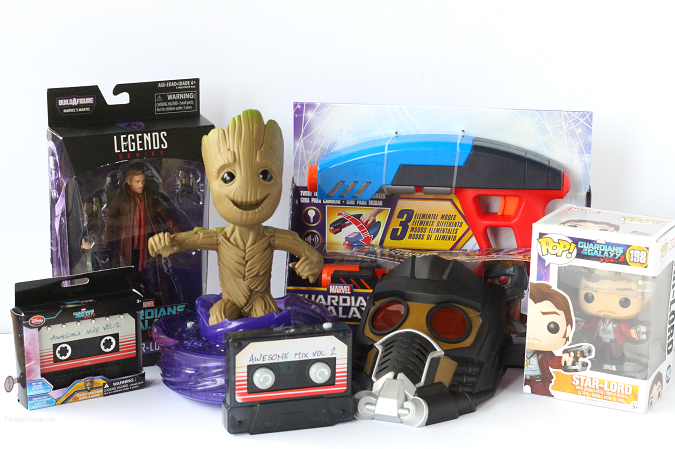 2 Gift Ideas for your out-of-this-world Marvel lover, I have plenty of fun ideas for everyone in your family from toys to books, novelties and more. So grab your dancing Baby Groot and let’s get hooked on a sequel! Rock N’ Roll Groot – Groot dances to music from Guardians of the galaxy Vol. 2! 2 modes: free dance lets you control Groot, and Groove mode Let’s him do his own moves to any song. Groot can even get back upright after dancing on his side! “Shout out” button triggers 4 different “I AM Groot” phrases. Funko POP Guardians of the Galaxy Vol. 2 Collection – Love the adorable bobble heads from Funko POP? Just released are the characters from Guardians of the Galaxy Vol. 2, perfect gift ideas for the movie lover. Collect all 9! Star-Lord Mask – Imagine gearing up like Star-Lord with this out-of-this-world Star-Lord mask! Kids can pull on the mask and imagine blasting into intergalactic battles with a rag-tag teams of guardians that might be more than the galaxy can handle. Mask fits most heads. Superpowers not included. 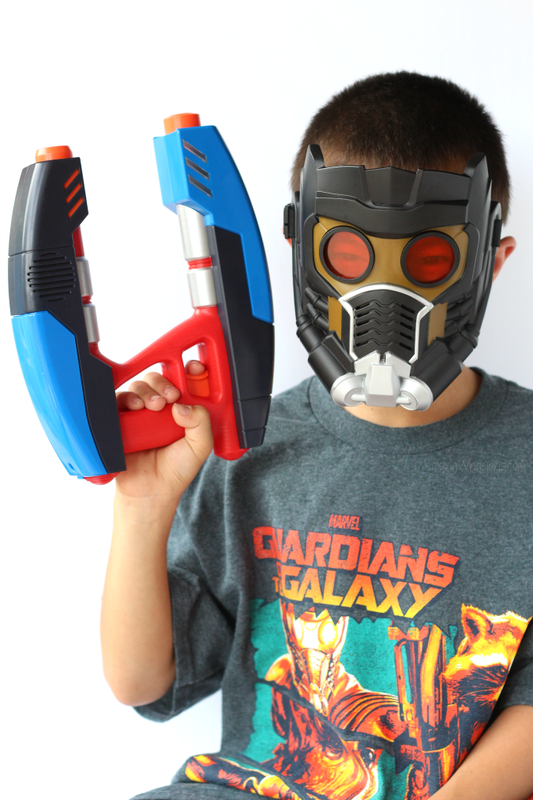 Star-Lord Elemental Blaster – Gear up like Star-Lord with the Star-Lord Elemental blaster! The Star-Lord Elemental Blaster boasts 3 unique blasting settings with different lights and sound effects that just might pack enough galaxy-saving dominance to shut down the bad guys. Rotate the blaster to access new elemental modes, including Water, Fire, and Electricity. 6-inch Legends Series Figures – Assemble a rag-tag team of misfits from Guardians of Galaxy with the Marvel Legends Series! With the Marvel 6-inch Legends Series, both kid and adult Marvel fans can start a legendary collection of comic- and movie-based Marvel characters. This 6-inch Star-Lord figure is highly articulated and features a movie-inspired design, making it an epic addition to any Marvel collection. Guardians of the Galaxy Vol. 2 Sound Machine Toy – You’ll be in tune with Star-Lord and the rest of the Guardians of the Galaxy with this cool Sound Machine. Inspired by the “Awesome Mix” cassette tape in the original, this features cool sound effects and music at the touch of a button. 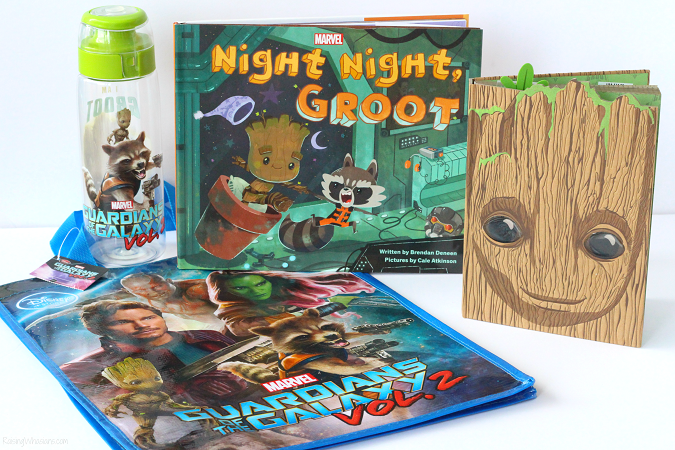 “Night Night, Groot” Book – A 32-page bedtime picture book told through the eyes of Marvel’s lovable characters Rocket and Groot. It’s been a long day for baby Groot and he’s ready to be tucked in for bed. Just as his eyes start to close, Rocket Raccoon bursts onto the scene! Groot can’t go to sleep yet, there’s a whole galaxy that needs to be defended and they must work together to save the day! Then maybe, just maybe, Groot will finally get the rest he deserves! Groot Journal – Description: Let your imagination do the talking and jot down your brilliant ideas in this notebook inspired by Groot from Guardians of the Galaxy Vol. 2. 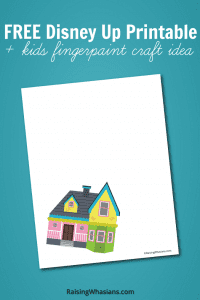 It comes with a galaxy of pages and a handy little bookmark so you never lose your place! Guardians of the Galaxy Vol. 2 Water Bottle – The local landfill will be thankful when you upgrade from disposable bottles – this Zak one holds 25-ounce, and is made of durable, shatterproof Tritan(T) for long-lasting utility. The cap flips open easily and locks in place, so it won’t swing around while you’re drinking. This bottle is entirely BPA free and top rack dishwasher safe. Guardians of the Galaxy Vol. 2 Reusable Tote Bag – With help from the Guardians of the Galaxy, shopping has never been better. Grab all of your essentials and toss them into this recycled tote bag designed to make your next retail excursion easy-peasy. Speaking of toys, Chris Pratt just released what his favorite toy prop is in this hilarious featurette! Hopefully these fun Guardians of the Galaxy Vol. 2 Gift Ideas will help you and your fellow Marvel lovers enjoy the beginning of summer movie season. Check out my full non-spoiler Guardians of the Galaxy Vol. 2 Movie Review (including if it’s safe to take your little ones). And be sure to go see Guardians of the Galaxy Vol. 2, in theaters everywhere! This family is excited…obviously! Rock n Roll Groot is too much fun! All the figurines and dress up stuff are great gift ideas, too! Thanks for the list! I’m an aunt of a nephew who is a big fan and I’m just not that in the know about Guardians. This will be a big help! Love this! Night Night Groot would be awesome! thanks! Great gift ideas. 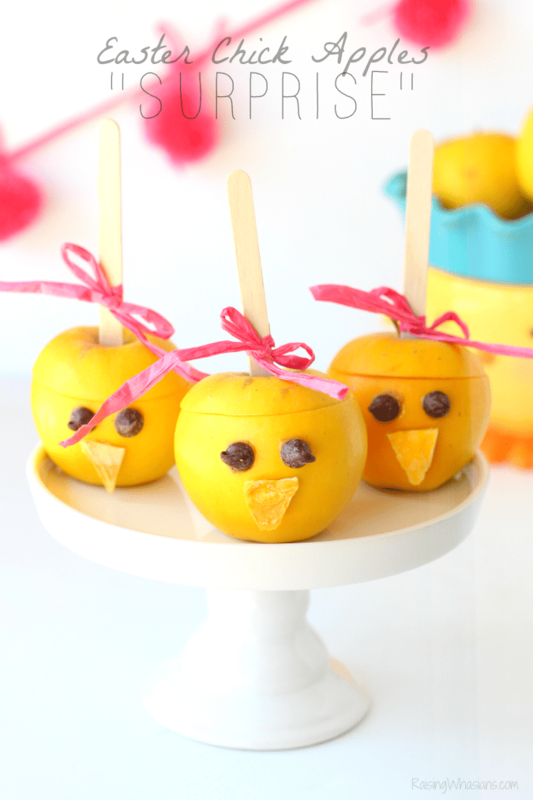 I know lots of kids who would love them.